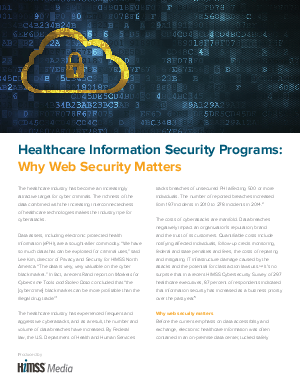 The healthcare industry has become an increasingly attractive target for cyber criminals. The richness of the data combined with the increasing interconnectedness of healthcare technologies makes the industry ripe for cyberattacks. The good news is the better prepared and more difficult healthcare organizations make their systems to breach, the less likely it is they will be a target. The key is continued investment in the right people, the right organizational policies and the right technologies.